Children describing the sounds that bombs make as they fall. Streets covered with rotting garbage. Doctors and nurses who have gone months without pay, at hospitals struggling to care for an influx of cholera patients and malnourished infants. In Yemen, two-plus years of airstrikes by a coalition being led by Saudi Arabia and receiving weapons and tactical assistance from the United States, have led to what the United Nations has called the “largest humanitarian crisis” in the world. FRONTLINE filmmaker Martin Smith and his team witnessed chaos on a rare trip inside the country, a peek inside a largely invisible war. Few foreign journalists are given permission to enter Yemen. “People are not seeing what’s going on. We’re talking thousands of civilian dead,” said Smith. The reporting for this story was done as part of an upcoming FRONTLINE special on the rivalry between Saudi Arabia and Iran. Airing in 2018, the documentary will trace the roots of the Sunni-Shia divide, and explore how a proxy war between the two countries is devastating the Middle East. This story is from correspondent Martin Smith. 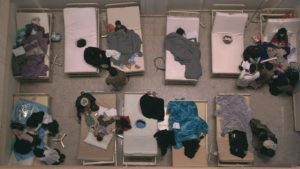 Michelle Mizner and Sara Obeidat produced this story originally as a short film. They, along with Sophie McKibben, adapted the film for the podcast. The FRONTLINE Dispatch is made possible by the Abrams Foundation Journalism Initiative. Major support for this story was provided by the Corporation for Public Broadcasting with additional support from the Henry Luce Foundation. 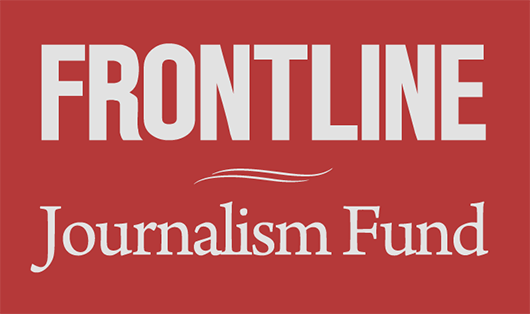 The FRONTLINE Dispatch is made possible by the Abrams Foundation Journalism Initiative.